Morristown, NJ (September 9, 2018) – DerpyCon welcomes Sara Cosplays and Jennifer Glinzak Costumery & Couture to New Jersey for DerpyCon 2018! 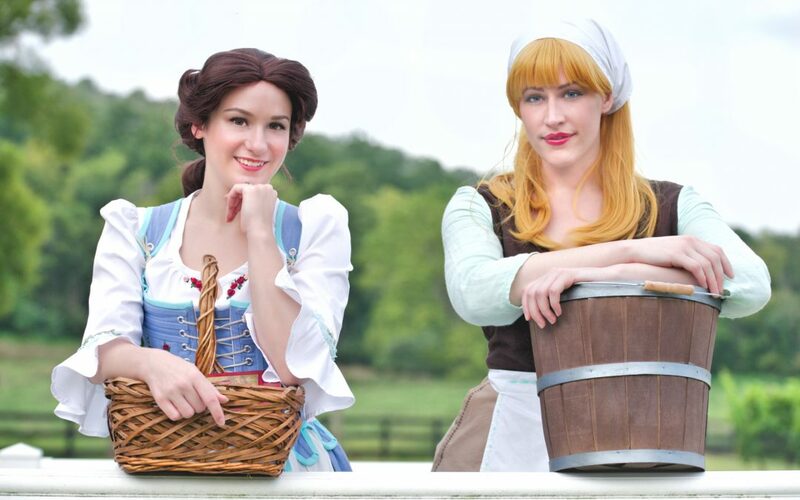 Sara and Jennifer are a cosplay duo and self-taught seamstresses from Northern Virginia. Their intricate couture designs have garnered countless competitive awards, most notably Best in Show at Awesome Con 2018. Sara began cosplaying in 2015. Her favorite costumes to create include putting historical spins on her favorite characters. Her attention to detail in her costume and wig work has won numerous craftsmanship awards, including Best of Saturday at Anime USA 2017. Jennifer is a prolific designer who frequently instructs others in couture construction techniques, corsetry, and fitting for cosplayers of all genders. Her extensive cosplay portfolio includes both screen-accurate and original designs of beloved characters. You can catch Sara and Jennifer at their instructional panels throughout the weekend, or pop by their booth anytime as they’re always up for giving pointers or chatting about cosplay, construction techniques, or which Disney princess is best. ABOUT DERPYCON: Serving as a multi-genre pop culture convention in northern New Jersey, DerpyCon celebrates the culture of animation, fantasy, sci-fi, and gaming. DerpyCon is presented by Vidgle and Jenthony Enterprises, Inc. DerpyCon 2018 will be held November 9-11, 2018 at the Hyatt Regency Morristown in Morristown, NJ. For more information and news about DerpyCon 2018, go to https://www.derpycon.com. DerpyCon 2019 Exhibitor Applications Now Open!